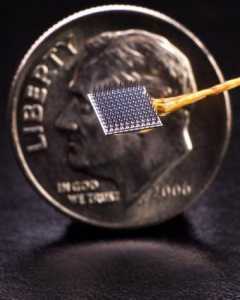 New technique enables rapid calibration of the BrainGate brain-computer interface. Response: People with cervical spinal cord injuries, ALS, or brainstem stroke, may lose some or all of their ability to use their arms or hands. In some cases, they may even lose the ability to speak. One approach to restoring neurologic function is by using a brain computer interface (BCI). BCIs record information from the brain, and then translate the recorded brain signals into commands used to control external devices. Our research group and others have shown that intracortical BCIs can provide people with tetraplegia the ability to communicate via a typing interface, to control a robotic limb for self-feeding, and to move their own muscles using functional electrical stimulation. Use of a BCI generally requires the oversight of a trained technician, both for system setup and calibration, before users can begin using the system independently. An open question with intracortical BCIs is how long it takes people to get up and running before they can communicate independently with 2 dimensional cursor control. The goal of this study was to systematically examine this question in three people with paralysis. As part of the ongoing BrainGate2 clinical trial, each study participant (T5, T8, and T10) had tiny (4×4 mm) arrays of electrodes implanted into a part of their brain that coordinates arm control. Each participant used motor imagery – that is, attempted or imagined moving their body – to control a computer cursor in real time. Response: Scientists have known for years that an ancient species of fish called the lamprey has a remarkable ability to rebuild their spinal cord after it’s been severed. After the lamprey spinal cord is cut, they recover from paralysis to fully swimming again in about twelve weeks, without taking any medicines or other treatments. We are studying the lamprey because we want to know the recipe of molecular ingredients that supports successful recovery after spinal cord injury. The genome of this animal was reported about 5 years ago, in a publication led by my colleagues Dr. Jeramiah Smith at the University of Kentucky and Dr. Weiming Li at Michigan State University. 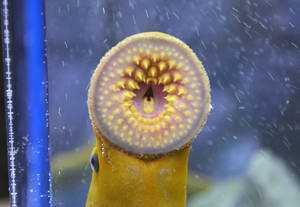 It turns out that many aspects of the lamprey genome are similar to ours, particularly in the central nervous system. Therefore, we think it is a reasonable expectation that what we learn from lamprey could give us some relevant clues about what might be different about the responses in mammals and other animals that are not good at regenerating their spinal cord. 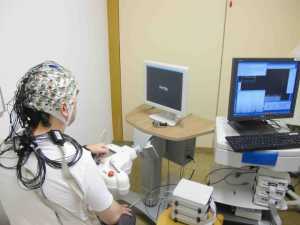 The Brain-Machine Interface (BMI) setup applied in this study. Participants imagine opening their hand without actually making any movement while their hand is placed in a device that passively opens and closes their fingers as it receives the necessary input from their brain activity. Response: According to the World Health Organization, 15 million people suffer stroke worldwide each year. Of these, 5 million die and another 5 million are permanently disabled. Stroke is the leading cause of serious, long-term disability. About half of all stroke survivors will never be able to use their affected hand for activities of daily living again. The current study investigates a novel technology which may lead to new therapeutic options for these patients. Response: As a facial plastic surgeon with an interest in finding treatments for patients with facial paralysis, we are always looking for ways to improve the care that our patients receive. One of those treatments is to treat the effects of abnormal and asymmetric facial motion with botulinum, which decreases the deformity that results from facial nerve disorders by decreasing muscular hyperactivity. This study was based on the fact that there are three commercially available types of botulinum available for treatment of the face. There have been studies that have compared the different types of botulinum for cosmetic purposes, but there have not been any studies that specifically looked to see if there were any differences between the different types of botulinum when used for treatment of facial nerve disorders. The main finding of the study is that the three different types of botulinum are essentially equivalent with the exception being that one type of botulinum, incobotulinum toxin, was slightly less effective than the other two types of botulinum at the 4-week follow up point. Of note, all three types were equivalent at all other time points.